NHK Spring India Ltd., aims to become a world class quality suspension components manufacturer, providing customers with the products that meet their requirements. NHK Spring India Ltd., has created a niche in Automobile Industry as manufacturer of Automotive Suspension Components for passenger Cars, commercial vehicles and Utility Vehicles by keeping its pace with changing market situations. Our products, Coil Springs and Stabilizer Bars are of the highest quality, accepted & appreciated by our esteemed customers. 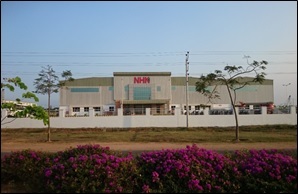 NHK Spring India Ltd., is drawing upon its strengths to upgrade its systems, skills and production values to offer its customers the finest quality in its product category. 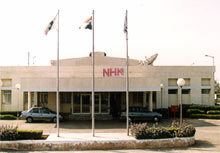 Out Line of NHK SPRING INDIA LTD.